If we’re being honest…it all started with a bottle of bourbon. 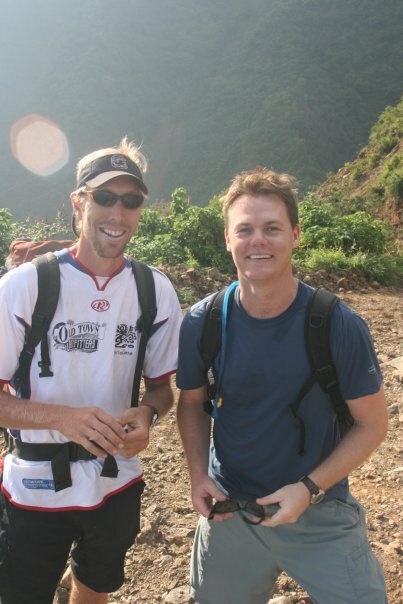 Talking one night over a few glasses of brown water, we asked ourselves, “I wonder if you could hike from Antigua to Lake Atitlán?”. We were certain that no one else was offering a trek between two of Guatemala’s most scenic destinations…but it seemed improbable that if it was possible, somebody would certainly have pieced it together. Our first step was to start researching via satellite imagery, looking for potential routes. Two massive river valleys dissected the way, but we could see ancient traditional footpaths used by farmers that indicated there might be hanging bridges. With a basic understanding of the landscapes, we set out on weekends with our dogs and camping gear in tow to see the trails for ourselves. There were plenty of dead ends. Trails that disappeared into overgrown forest or simply didn’t exist at all anymore. 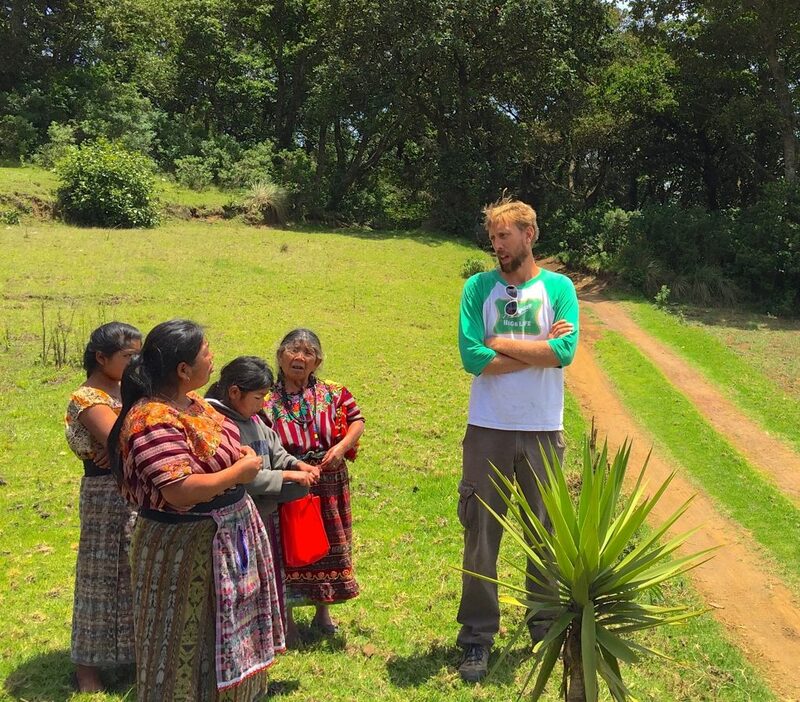 We talked to local farmers who knew better ways, some of which have become local Mayan guides for Trek Guatemala tours. The villages we passed through were quiet, peaceful places…Mayan farming communities. Most had only seen a handful of outsiders before, so you can only imagine how two gringos looking for a way to walk to the lake must have appeared. At first they were apprehensive, but we took the time to meet with community elders to share our vision. We wanted to integrate local people, not ignore them. They heard our ideas and we heard theirs, and via countless visits and long discussions, they welcomed us – as they will welcome you. 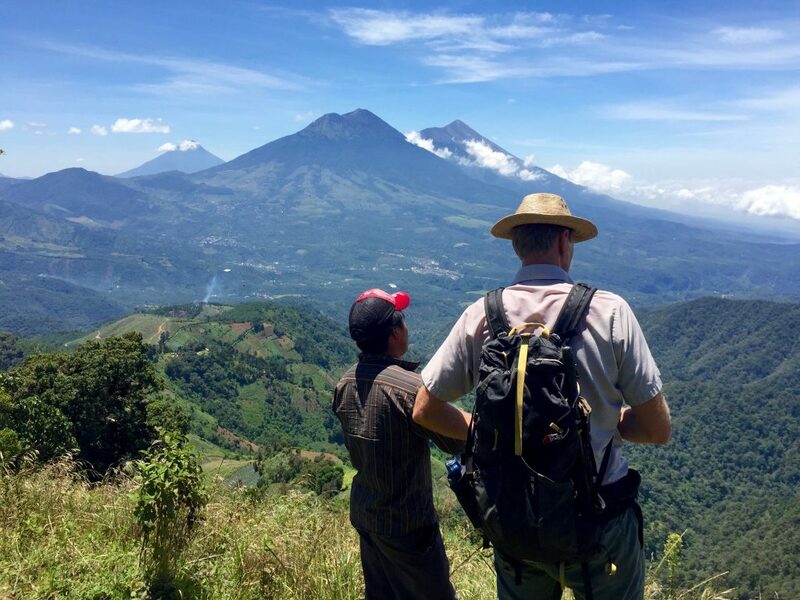 We look forward to you joining us to explore the beautiful country that is Guatemala. Matt Hartell (Mateo "Alto") was born and raised in the foothills of North Carolina. His first trip to Guatemala was on a family holiday in 1995 and he immediately fell in love with it. After finishing university, he moved here as a means to escape the inevitable cubicle life of corporate America. 24 years later here he is still here in Guatemala, having spent the last 18 years guiding mountain bike and trekking tours. What started as a family holiday has turned into a life-long pursuit to find the best new trails and places to go in the furthest reaches of the country. 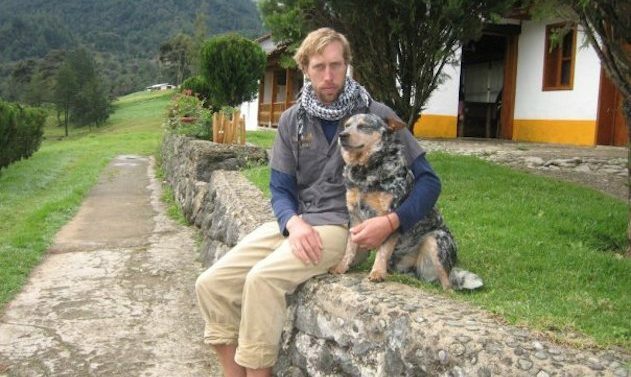 Originally from Minnesota, Matt Humke (Mateo "Bajo") first came to Guatemala in 2001 as a sustainable tourism specialist for an international conservation NGO. 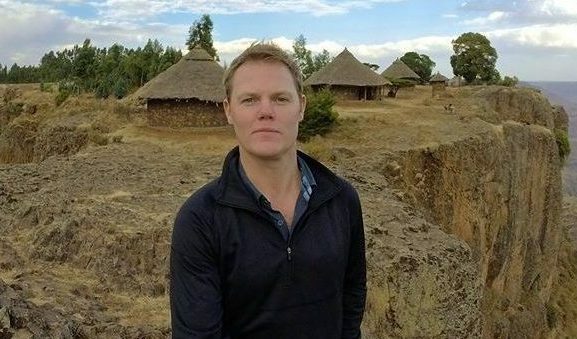 Working with rural communities and protected areas throughout Latin America, Africa and Asia…Matt developed an understanding of how sustainable tourism could support poverty alleviation and biodiversity conservation. 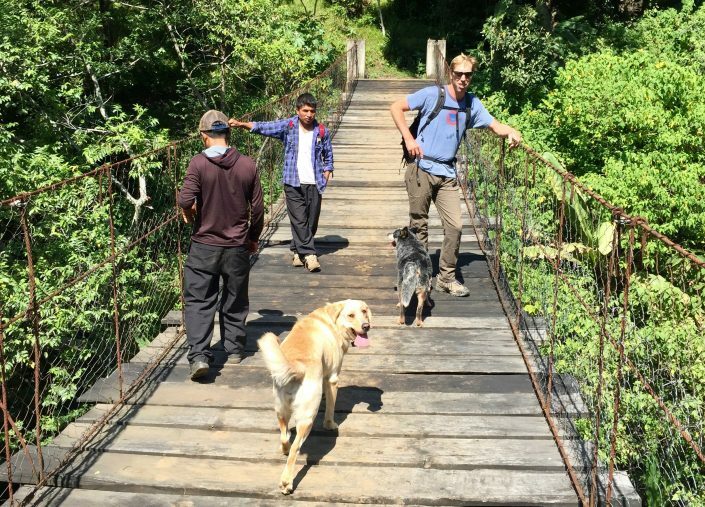 Many of these same goals – quality experiences, local participation, conservation of natural and cultural resources - are woven into Trek Guatemala’s DNA. Matt lives in Antigua with his wife Megan and two kids Lola and Cash.